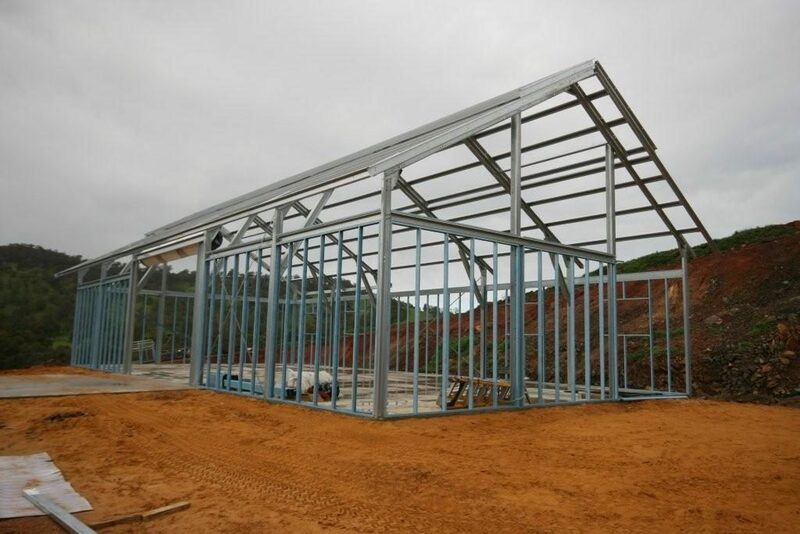 As soon as you decide to go for steel for your next construction project, one of the most important to discuss with your manufacturer is the appropriate type of steel building frame. The main frames carry most of the structures load and are usually placed at a constant distance along the sidewall. Remember that the quality of materials used to construct steel building frame is equally important as the experience and skills of the construction crew. It must be properly engineered to support the structure’s intended application, size, weight, and scope. Open web frame or Truss Frame– this type of steel building frame is also called steel truss that is consist of parallel chords joined together with diagonal angles. It provides direct support for the building’s floor deck or roof and transfers the load charged on the floor deck towards the structural frames such as the column and beam. Functionality-wise, this is relatively more challenging to fabricate but it offers a very economical design on structures with large spans of 300 feet or more. What is great about this option is that it allows wiring, sprinkler, and HVAC to be integrated into the trusses. It is commonly used in buildings that require an open column-free interior. I-Beam Frame – An I-beam frame is usually consisting of built-up plate sections that are welded together to serve as the skeletal support of the steel building. Other variants are made from hot-rolled beams. This is the most common type of main frames so far, especially for recreational, manufacturing and storage purposes. Modular Framework or Rigid Frame MultiSpan– This type of steel building frame which has several interior support columns is more commonly used in large-scale buildings that do not require a completely open floor space such as warehouses, manufacturing facilities, and factories. On the positive note, modular frames that provide multiple spans on wider structures evenly distribute the load. It thus lowers the cost of both the foundation and frame of ultra-wide structures. 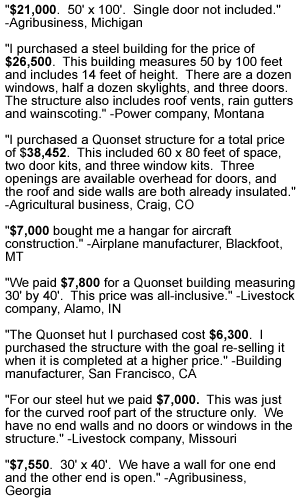 You will begin to realize savings from a structure measuring 80 feet wide. As a rule of thumb, the wider a building is, the greater your savings will be. Hence, most buildings measuring 150 feet wide have interior columns. Through its multiple interior columns, it can attain spans of more than 400 feet wide spans. Rigid Frame Clear Span Framework– This frame incorporates an open web frame or I-beam style to create an open-wide space. Since it lacks structural support, it creates an uninterrupted space and stretches as far as 300 feet. Moreover, its design allows for more rooms or sections with partitions. You can also easily arrange or rearrange the floor plan whenever you want to since no wall bears any of the load. Not to mention, however, you wish it too. 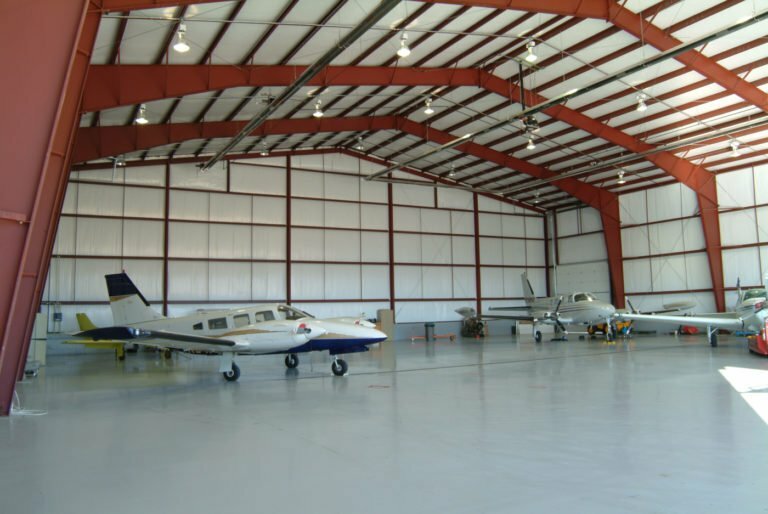 It is mostly used for airplane hangars and sports arenas, storage area and agricultural buildings. However, this framework has limitations too. Most especially, if you want to increase the width, you must ensure that the frames are proportionally heavier so it could be able to bear greater loads. This also means that the total cost of ownership may also rise as the cost per square foot also increases. It can be a cost-effective solution however for buildings measuring 150 feet wide and more such as hangars and warehouses. Straight Column – This framework is often used when a clear interior space measuring up to 70 feet wide is required such as small offices and other commercial applications. Single Slope Framework – What marks a single slope steel building frame is the various eave heights present on every sidewall in order that the roof of the structure slopes up from front to back. To determine the design of this frame, the eave height of the lower side must be indicated while the slope or roof pitch must be defined. A roof pitch refers to how many inches a roof rises vertically for every 12 inches it extends horizontally. This type of frame is more common in mini-storage complexes, offices, and strip shopping centers. For a more pleasing aesthetic design, you can add parapet walls, fascia systems, and exquisite building lines. It can also be used as an addition to an existing building or as a wing unit. If you need economic large spans, interior columns can be combined with this framework. Lean-to Framework – This framework joins the main building frame which also serves as a structural support. It can also append to any structure designed to support the additional load. It creates common spans measuring 20 to 60 feet wide. An adjoining building column that supports the lean-to framework on the high side differentiates it from a single slope framework. It can be engineered as a completely enclosed or as a roof only system. Tapered Beam –this type of steel building frame is prefabricated to provide optimal efficiency of interior space. It is perfect for small structures requiring about 20 to 60 feet common spans. It is ideal for creating partition walls on interior bays and small crane support systems. Before you sign a deal with a steel building manufacturer, it is necessary that you evaluate the steel building frame options for your next project. Understand that once you have placed your selected frame, you cannot easily change it in the future as doing so can have significant implications on the deign of other building elements such as service installations, cladding and much more. If you need a spacious and accommodating structure, you need to ensure that you make the right choice in terms of the frame design, steel quality, and type of foundation. 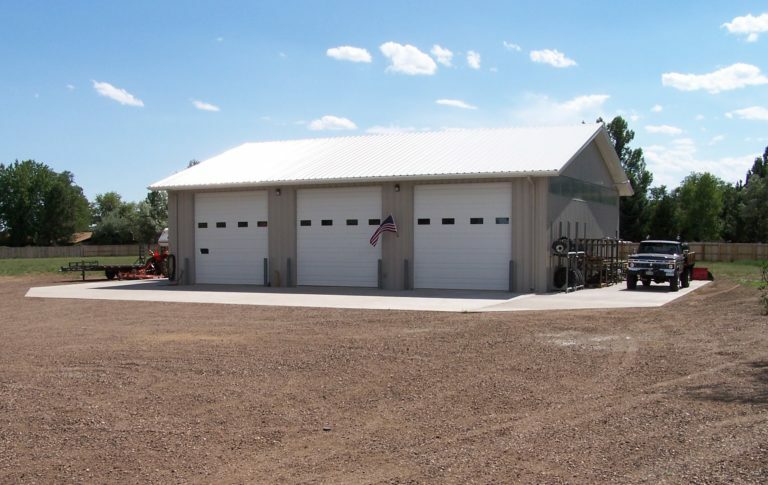 Not to mention, it ensures the durability and longevity that you expect your steel building to be. Your manufacturer will be glad for sure to discuss with you the appropriate steel building frame for your steel building. In return, ensure too that you understand both the advantages and disadvantages of all the choices.